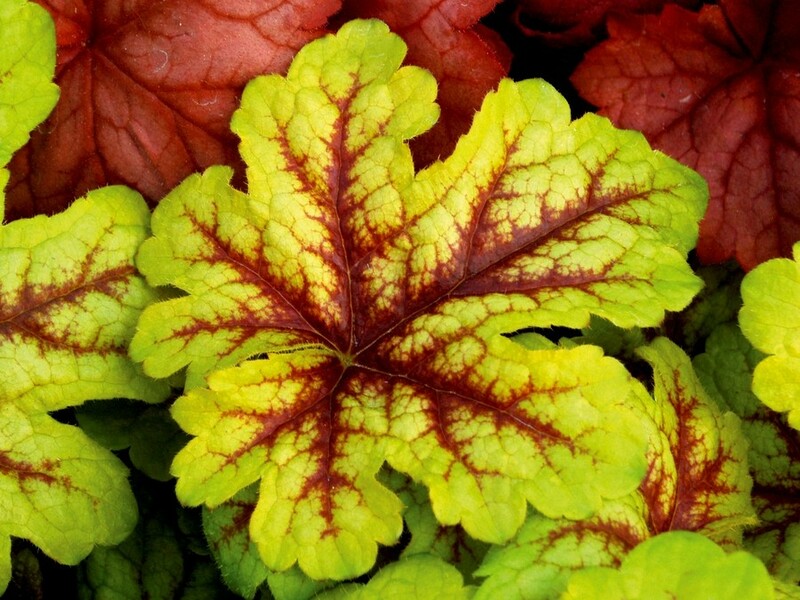 This vigorous hybrid Heuchera has terrific foliage that is ever changing. 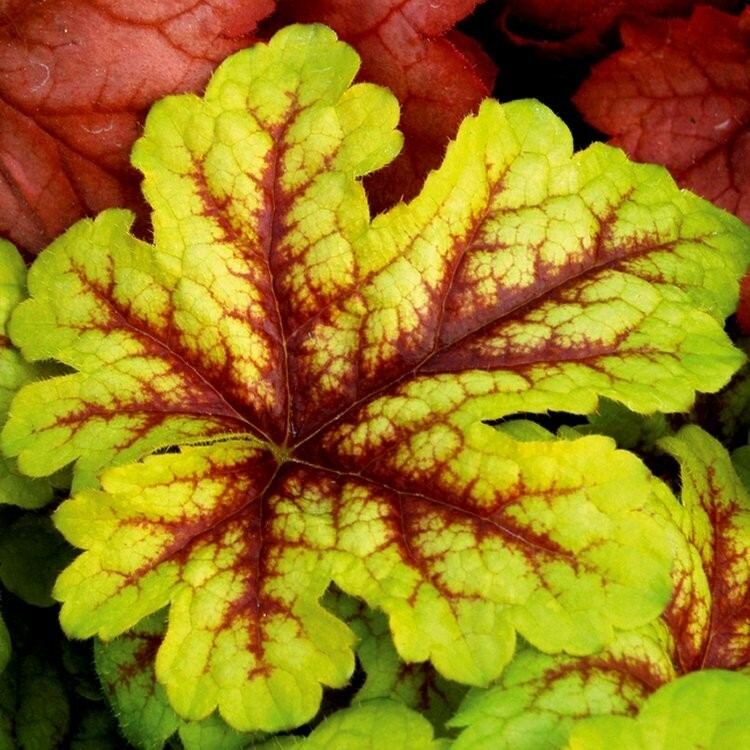 The deeply lobed leaves begin golden-yellow with deep red veins, ageing to green by late summer. 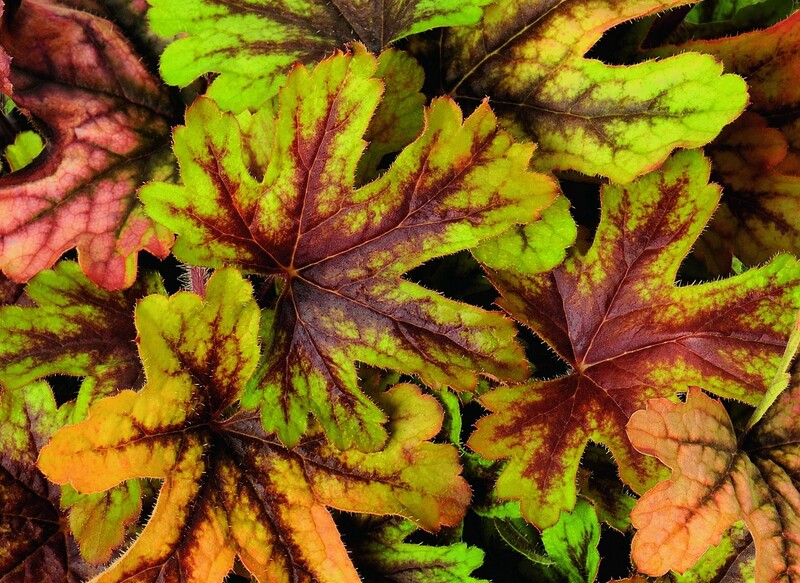 In cool autumn weather the older leaves turn orange-pink and stay attractive all winter. Sprays of small white flowers appear in late spring, hence the name 'Alabama Sunrise'. 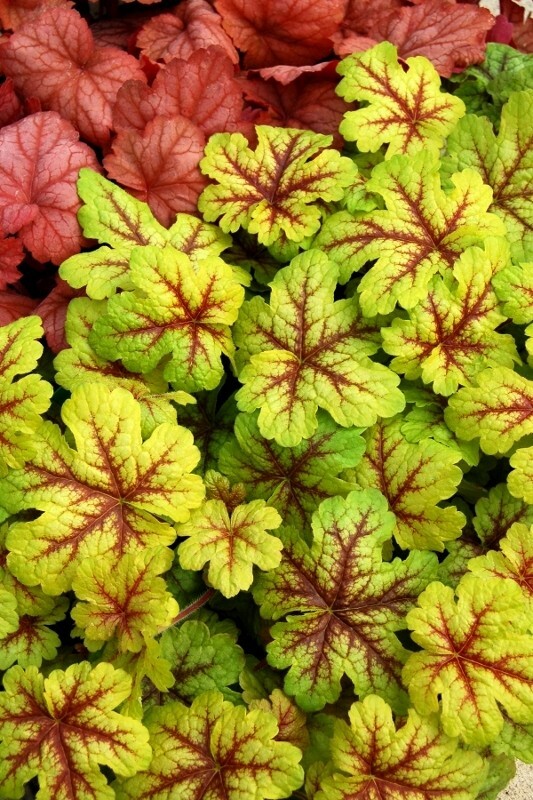 This tolerates hot, humid summer regions. Supplied in approx 1 litre containers.